London has always been renowned for its hustle and bustle – a seemingly endless stream of commuters and tourists flow through the streets on a daily basis. Much like how blood circulates through the human body, this is what keeps the city functioning; what gives it life. It’s 5am in the city and in a rare occurence, the streets of London are bare. The tourists are presumably still deep in slumber, recuperating from an eventful day of sightseeing, and the 9-5’ers still have a couple of hours left in bed. Through this lens the city may seem like a skeleton of its usual self, but on this chilly January morning it's far from lifeless; beneath the fabled Marble Arch in Oxford Street, two men are about to embark on a journey that will take them 10,000 miles across the world, spanning 18 different countries. This isn't a trip taken on a whim, nor is it an extended holiday for the pair– Paul Hanson and George Coleman are about to set out with the very clear goal of breaking the world record for the fastest time travelled from London to Cape Town by car. This adventure will take them through many of the world’s most fascinating landscapes, ranging from the dipping dunes of the Sahara Desert to the tropical grandeur of the Congolese rainforest. With the current record holders time of 10 days and 3 hours this would be far from a vacation; to break this record there would be no time to stop and smell the roses. Every second of their journey had to count, meaning that necessities such as eating and sleeping had to be streamlined in such a way that it had minimal impact on the journey-time - This is where Vango was able to provide some assistance. Almost ten days into the trip, tired, battered and nearing the end of their journey, Paul and George were faced with a most ruthless adversary: happenstance. An errant chassis rendered their car unfit to drive, and after attempting to weld it at a number of different checkpoints throughout the African plains, the unforgiving terrain of the Senegalese roads proved to be too much to bear. 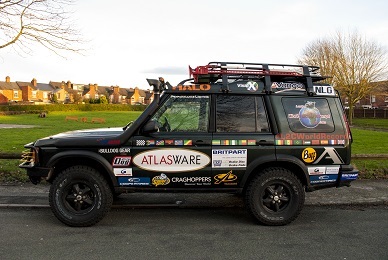 The travellers were forced to abandon ship in Namibia; with their trusty Land Rover pushed to its very limits, they had no choice but to call it a day on their world record attempt – a frustrating 1,000 miles from their goal. As awe-inspiring as it would have been, sadly, there was no 'Cool Runnings' style ending to this fairy-tale. Granted, a Land Rover may have been a little heavier. Paul and George followed their dreams and attempted the impossible through raw determination; we here at Vango share this ethos with Paul and George and naturally jumped at the opportunity to support them on their journey - as well as their amazing cause. We kitted them both out with everything from the boots they trekked in to the sleeping bags they slept in and the food they ate along the way, making sure they were well equipped for the road ahead. Read on for testimonials on how our gear fared against the elements! The starting point of Paul and Georges epic journey. A closer look at our Sherpa trekking boot. A look at our Ultralite sleeping bag. The pair also hit a stumbling block when they ran out of gas to cook with, but thankfully came up with a MacGyver like method of heating up their food. 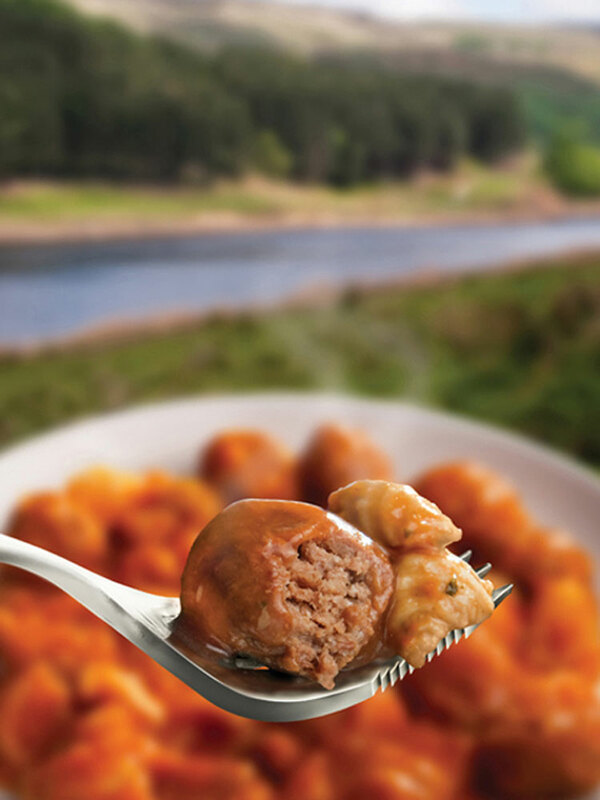 As a side note: Vango Gel Fuel offers a non-toxic and environmentally friendly method of cooking food. The Fuel is safe and easy to pour, and the viscous gel formation has significantly less chance of spilling than liquid, making it a far safer alternative to other fuels on the market. The Gel was designed specifically to address the problem of indoor air pollution in Africa - a noteable cause for Paul and Georges trek! Fate may have had other plans for Paul and George on this occasion, however the pair have vowed to return, and plan on giving the world record attempt another go at some point in the future. 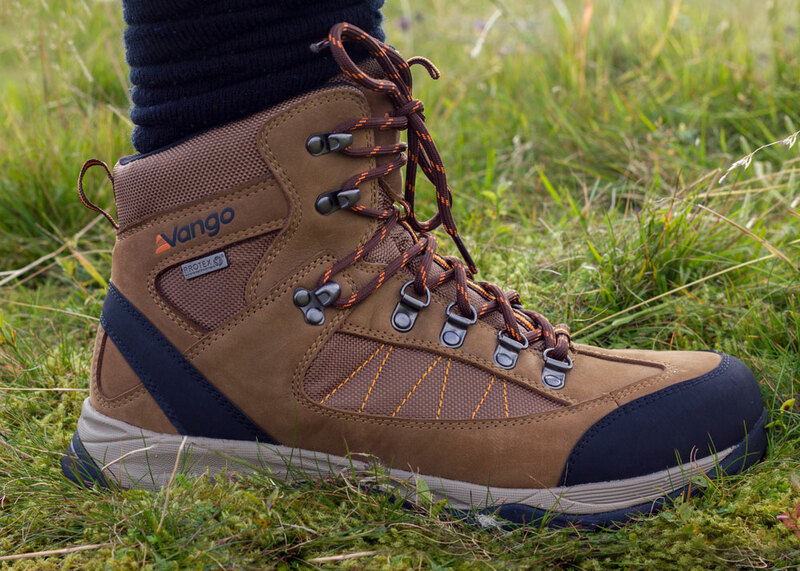 We here at Vango admire what they have achieved on their adventure, and wish them the very best of luck – have a look at our Q&A with the pair, and keep up to date with their future travel plans here!